Before taking the first step on any journey, it’s a good idea to have a map to tell you where you’re going. Flying blind is a great way to end up somewhere unexpected or begin an adventure. Yet it’s also a good way to end up somewhere you don’t want to be. In the world of Internet marketing, the lead generation journey has only one desired destination: a greater number of customers. 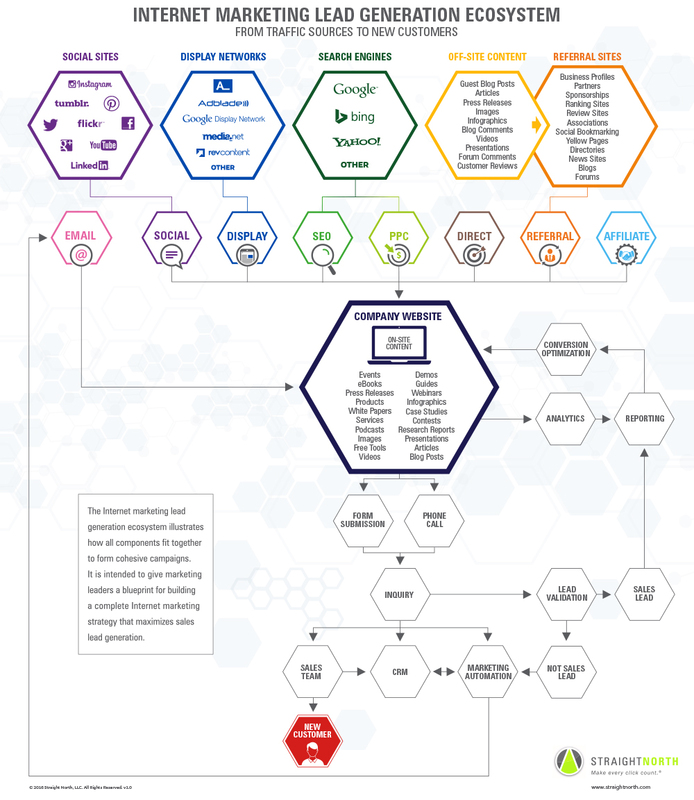 Here's an infographic on the Internet Marketing lead generation ecosystem from traffic sources to new customers.